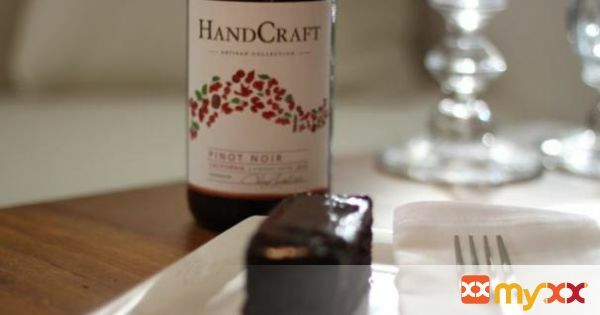 Elevate brownies with a splash of Pinot Noir. The Pinot Noir Icing is divine. 2. Combine eggs with sugar and vanilla; add butter and wine. Stir cocoa with flour, baking powder and salt. 3. Combine with egg mixture; add nuts. 4. Spread into greased 8 x 8-inch pan. 5. Bake 25 to 30 minutes. 6. Melt butter over medium heat. Reduce heat to low and add chocolate, sugar and wine. Continue heating over low heat stirring often, until mixture is smooth – don’t let it boil. 7. Spoon hot icing over fresh brownies and let stand for a minimum of an hour; 12 hours is best.